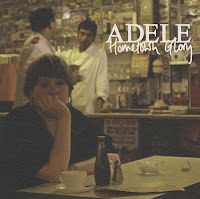 Adele leads the soul revival and I loved this Beautiful and haunting song, even if it is supposed to be about Tottenham! It's probably not still cool to like Coldplay but I still adore this album and I played Lost and it's various remixes over and over. From my favourite album of 2008. They've come a long way from when I slated them in 2005. Infectious and slightly mad. Is Reggie Robert Smith reincarnated? The song reminded me of my first few months in Bermuda and my heart went out to this Chicagoan in October after her mother, brother and nephew were killed on the south-side of her home town.